Heavenly blog! : No. 1325: The thing that hate groups on Manglerud Police and hatPastor Jan Aage Torp running against me are nothing but Christianity persecution! No. 1325: The thing that hate groups on Manglerud Police and hatPastor Jan Aage Torp running against me are nothing but Christianity persecution! The thing that hate groups on Manglerud Police and hatPastor Jan Aage Torp running against me are nothing but Christianity persecution! Photo by Jan Aage Torp new "friend" as he continually supports and when she writes online, touch Jan Aage Torp like! The verdict against me and the Heavenly blog is 100% fabricated in my eyes. When it did not take into account that Torp has verbally gone further than me. I've been up against 20,000 hate speech from Torp's supporters, not least Norway 2's web roll Ansgar Braut and Torodd Fuglesteg. Error in law and the judgment is based, was not debated in court showing that there was a very weak judgments and even weaker judges who ruled the proceedings! Luke 6 22 Blessed are ye when men shall hate you, and when they shall separate you, and revile you, and cast out your name as evil, for the Son of Man. How do I know that this is Christianity persecution? Blue. as Jan Aage Torp went with his fictional review of me, then what is written about Jan Aage Torp. So 99% of what is written and spoken against January Aage Torp, written after his fictional review. And the verdict against me from the Oslo District Court based solely on the amount. Judge Malin Strømberg Amble asked me not once in court on quantity. But when she was writing the judgment, it was therefore a collective right came to a conclusion! As head was not lit and put away on the proceedings in the Oslo District Court January 20, 2016 as we meet. As well as I and Torp meet in Mediation 8. January 2015 I offered Torp to change all words that he would. This declined Torp blank when he has never been attacker announced in anything other than getting shut the Heavenly blog when we preach so clearly against sin and remarriage! In other words. January Aage Torp as the notorious liar got through their will. Fortunately, I had a skilled lawyer who litigated that the entire case is based on an error in law against me, therefore, we will now issue up in Borgating Court of Appeal on April 5, 2017. Pray dear friends that God's will is done. I will either be acquitted or the case goes back to Oslo City Court for an error in law used against me and the Heavenly blog. Because I simply never approached Torp, it is he who has approached me and on my blog and follow with obviously many times a day! What they have convicted me, is obviously an error in law. But when hate to Torp and Oslo police are there, then goes mostly depends! But sooner or later will always be collected by their lies and hatred, so also here! This case is completely turned on its head, and is nothing other than Christianity persecution due my view and preaching of God's word! The Christian press as KS, Day and Our Country has been like a microphone to ridicule the apostle and manipulator January Aage Torp, although he is the "strong"! Torp has managed to deceive and manipulate the Oslo Police and the Oslo City Court, then by saying that it is the amount of what I have written has been bothersome. Although this is a lie when 99% is written by his fictional review. Thus the amount is for review, but it is this Torp and cops run on. My presentation of the case there are no or few who will listen to your ear, but it's good to know. That way there is to go with the Lord, lie, people will be greater than the truth. Joh. e. 3. 19 And this is the condemnation, that light is come into the world, and men loved darkness rather than light; because their deeds were evil. 20 For everyone who does evil hates the light and does not come to the light, lest his deeds should be reproved 21 But he that doeth truth cometh to the light, that his deeds may be made manifest; they are wrought in God. So it is in this matter, that the truth is not prepared correctly. But thankfully, now comes a new trial where we get to try the application of law. I expect, or believe most that the case will go back to the Oslo District Court for an error in law. But there are also two other possibilities. It's either full acquittal, or that judgment from Oslo City Court is left! Ask for the case, me and my family have been subjected to atrocities by Jan Aage Torp's supporters. Also his last supporter who calls me too many bad things like. mud Pastor and many other ugly and horrible things and Jan Aage Torp press like every time! The real villains here in this case is Pastor Torp for fake review. And his supporters, or that his obedient poodles and straw men Ansgar Braut and Torodd Fuglesteg calling himself, the two are real criminals. 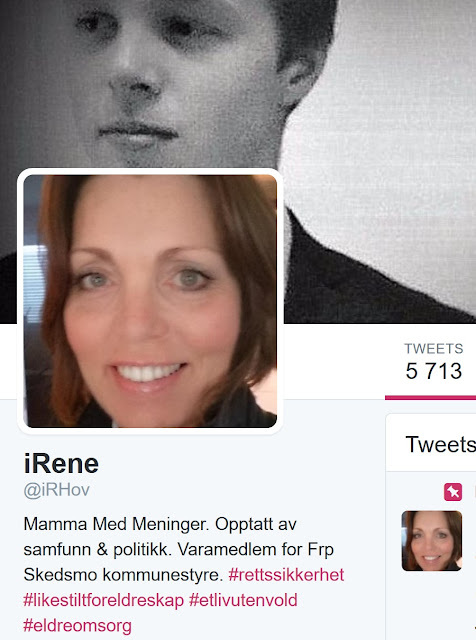 What the two have kept in several years, is obviously to break many, many aspects of Norwegian law. Not least the attacking anonymous people who have nothing to do in the public eye. It makes these two the whole time, and truly deserves to be punished for it and pay compensation to all those they have harassed and harassed for several years!